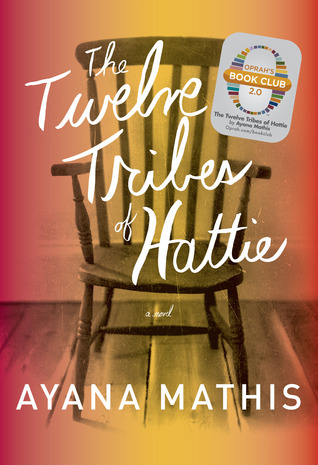 The Twelve Tribes of Hattie is a story of family, promise and generational habits. It begins during The Great Migration in 1923 when Hattie flees Georgia and settles in Philadelphia. The young fifteen-year-old marries August and begins a life, she hopes, to be better. Two years later, they start a family, with the firstborns being named Philadelphia and Jubilee. "...names of promise and of hope, reaching-forward names, not looking back ones." Unfortunately, the first of many tragedies strike. Hattie watches helplessly as her seven-month-old twins died in the order they were born: first Philadelphia, then Jubilee. Hattie gives birth to nine more children and raises them with not an ounce of tenderness. Hattie's parenting style is to prepare her children for the harsh difficult world. Life is not kind, so why should she be kind? The next chapters focus on Floyd, Six, Ruthie, Ella, Alice, Billups, Franklin, Bell and Cassie. The last tribe is Sala, Hattie's granddaughter. We can only hope that by now, Hattie gets it and will show tenderness. 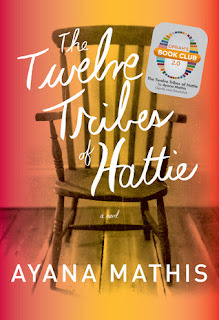 The Twelve Tribes of Hattie is not a page-turner. It was not uplifting, but instead a sad reality that parents shape the lives of their children. Unknowingly, a parent's actions has an effect on a child from birth until death. Each tribe of Hattie was an example of this. The individual stories of each tribe was left open-ended, yet somehow complete. Ayana Mathis did a remarkable job writing this book. It is hard to believe this is her debut novel. She writes with poetic, descriptive flair that reminds me of Toni Morrison's prose. My 4-heart rating is more-so to commend the writing style and premise of the book. I rarely read a selection from Oprah's Book Club, but glad I jumped on this bandwagon. 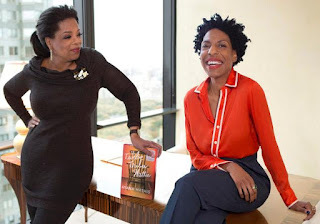 Reading Oprah's notes and interacting with other Oprah's Book Club 2.0 members enhanced my reading experience of The Twelve Tribes of Hattie. Well worth it.